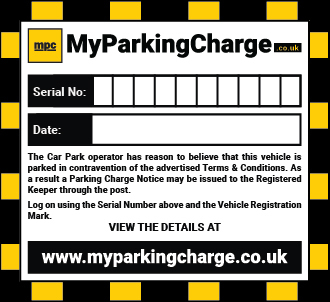 If you have received an MPC Document from MyParkingCharge or a Notice through the post which has a serial number starting with “EPS” and directs you to appeal through the MyParkingCharge Portal, you will need to appeal via this dedicated portal and cannot appeal via our normal website. Once a Notice has been received through the post, an appeal MUST be registered within 21 days beginning with the day after the Issue Date shown on the Notice. If you wish to retain the option of a discounted payment (if stated on the front of the Notice), your appeal must be registered within 14 days. Late appeals and postal appeals will not be accepted unless there are exceptional mitigating circumstances AND at our discretion. If you have received a standard Parking Charge Notice with a serial number beginning with “XL” or received a notice prior to the 1st December 2016, you can appeal a Parking Charge Notice by emailing us at cpo@excelparking.co.uk or write to us at Central Payments Office, Excel Parking Services Ltd, PO Box 4777, Sheffield. S9 9DJ.Please Note:When submitting your appeal IT IS IMPORTANT that you:1) Include full details of the reason for your appeal/challenge along with any supporting information/evidence.2) The PCN reference number.3) Your name and address.Once an appeal is received the PCN will be automatically placed on HOLD until the appeal is reviewed and a decision is made. NO ADDITIONAL CHARGES will be incurred whilst an appeal is under review. We aim to notify you of our decision in writing within 14 days of receipt of your appeal but if we require longer than this we will let you know.Appeals/Challenges must be received by the Central Payments Office within TWENTY ONE CALENDAR DAYS of the Notice Issue Date. Appeals/Challenges received after this time will not be considered unless in extreme circumstances and at the Company’s discretion.Should you make an appeal and it is unsuccessful, you will have the option to appeal to the Independent Appeals Service (IAS) which is an independent body. If appropriate, relevant details of the process you would need to follow for IAS will be notified to you at the time we notify you of our appeal decision.